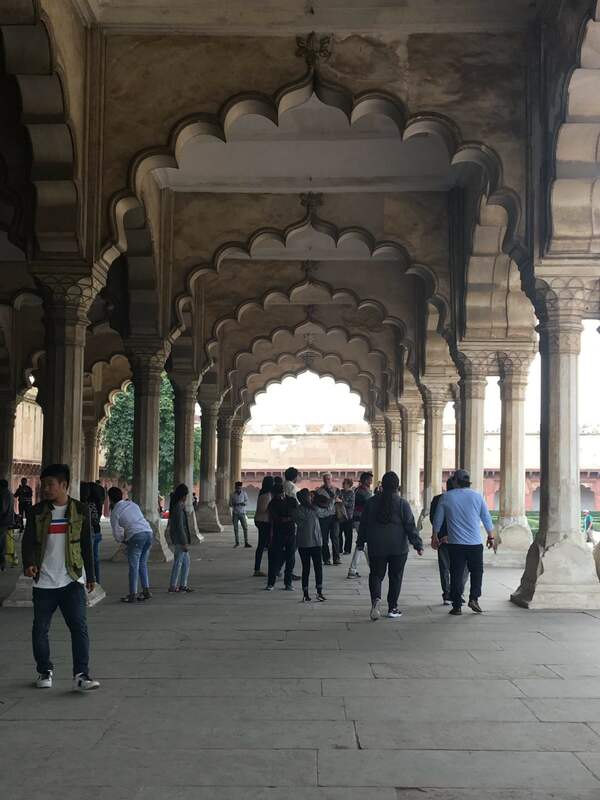 Things to see in Agra Fort! When I was a kid, I am obsessed enough with the history that much that I couldn’t able to learn the dates that which emperor born in which year and in which year this battle had happened. Learning dates to me like dying by using my own methods. 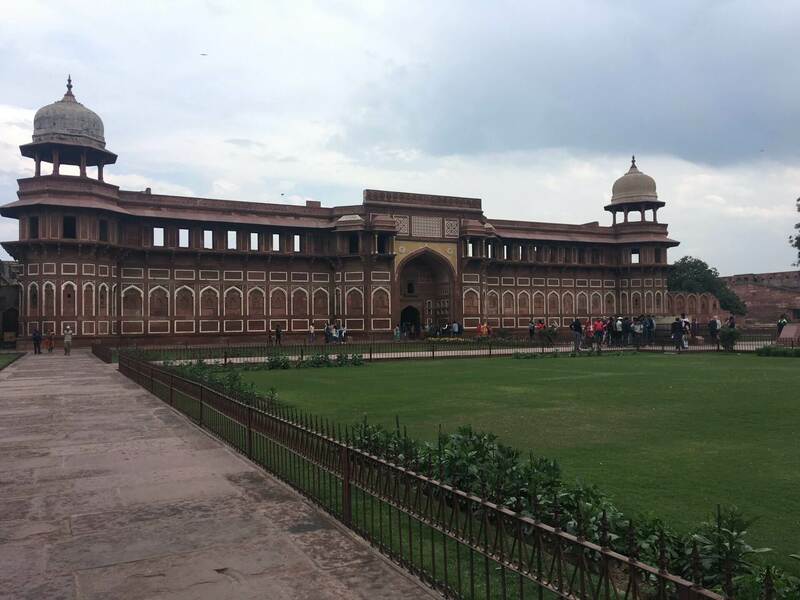 But when I had a visit to Agra Fort, and soon after entering in this gargantuan fort, a history lover in me provoked. 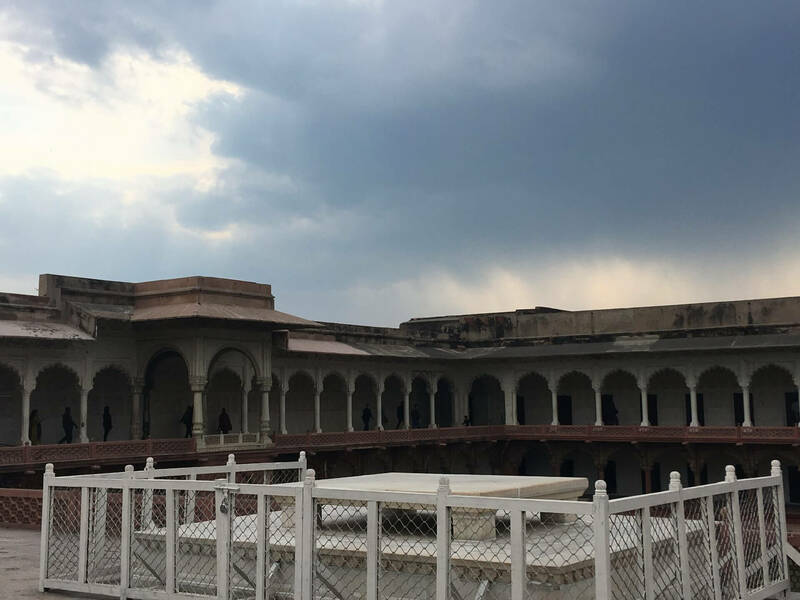 He pulled me towards every piece of gem that is presented in this Fort and showed me that there are various things to do in Agra. One can easily indulge him/herself in the history because all the small and big facts like this part of this fort was constructed by which emperor, in which year all this thing is carved on a stone there. I have read all those stones and believe me the history behind them are really hallucinatory. And if you could manage a visit to this type of historical place in partially cloudy or rainy day, it will add more charm to the memories. Thinking in a right way, yes, at the time of my visit the sky was partially covered by the clouds. 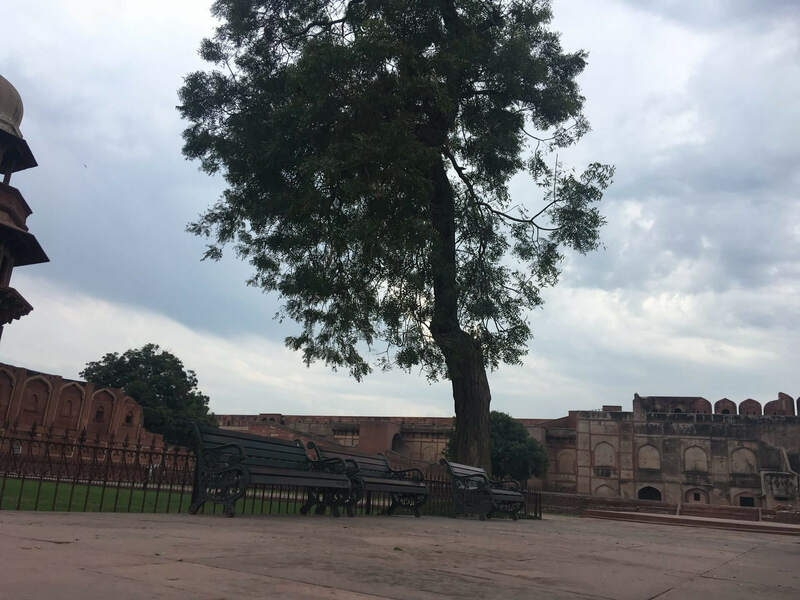 It is making sense that, having Taj Mahal overshadowing Agra’s red fort, one could easily forget that this city of Taj also having another World Heritage Site, one of the curvaceous Mughal Forts in India. Agra Fort and Taj Mahal are considered as Sister Monuments. The ear-like structure of this Fort was meant to flummox invaders if they anyhow pass the moats infested with crocodiles and wild animals at that time. 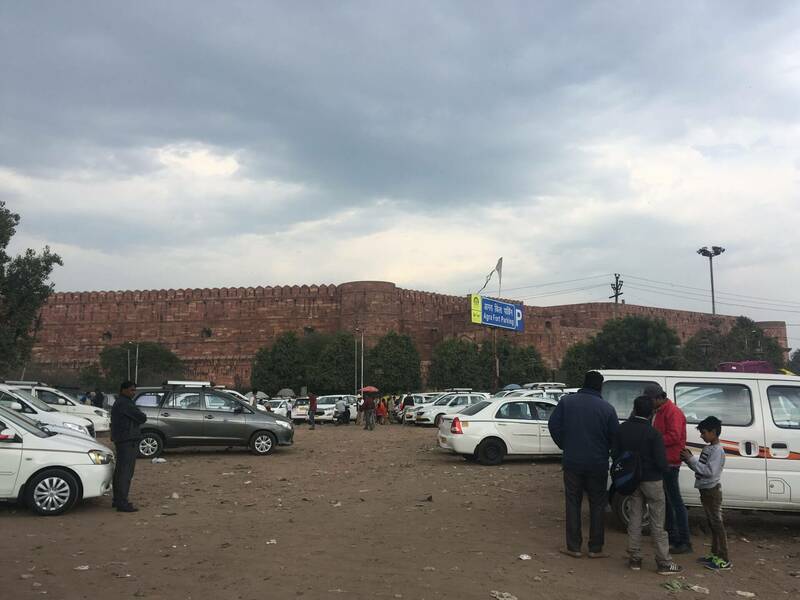 The Amar Singh Gate, named after the name of Jodhpur’s Maharaja Amar Singh Rathore, is the onliest entry point to the Fort nowadays. And from there only we can able to buy tickets from the counters over there. From the anecdote, I heard that in 1644 the chief treasurer in the court of Emperor Shah Jahan, Salabat Khan insulted the king of Jodhpur. So Amar Singh copped-off his head and while escaping from the court he jumped from the long walls. 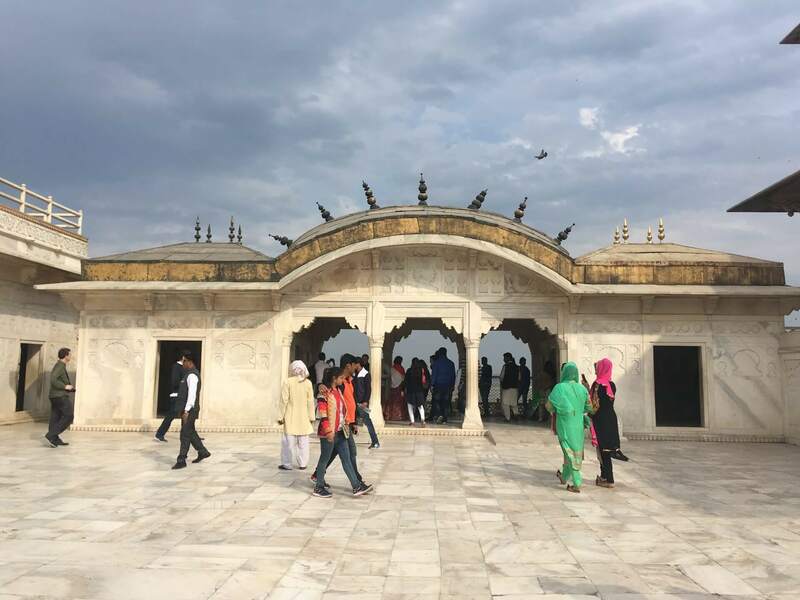 The construction of this Fort was begun by Great Emperor Akbar in 1565 and further additions were made by the authorized person but particularly by his Grand Son Shah Jahan. In adding changes, he used his favorite building material white-marble. Its gigantic walls rise about 20 meters in height and 2.5 Km in circumference. 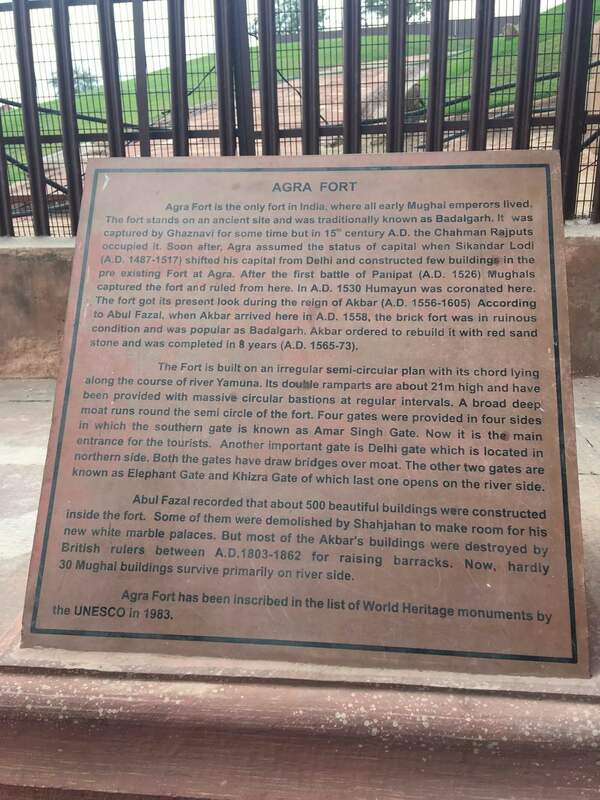 More than the half part of this fort is occupied by the higher dignitaries of Agra cantonment board, so it is off-limits to the aficionados. And remaining part is open to the public, which contains some important sections of this Fort. From Diwan-i-Aam to Diwan-i-Khas. 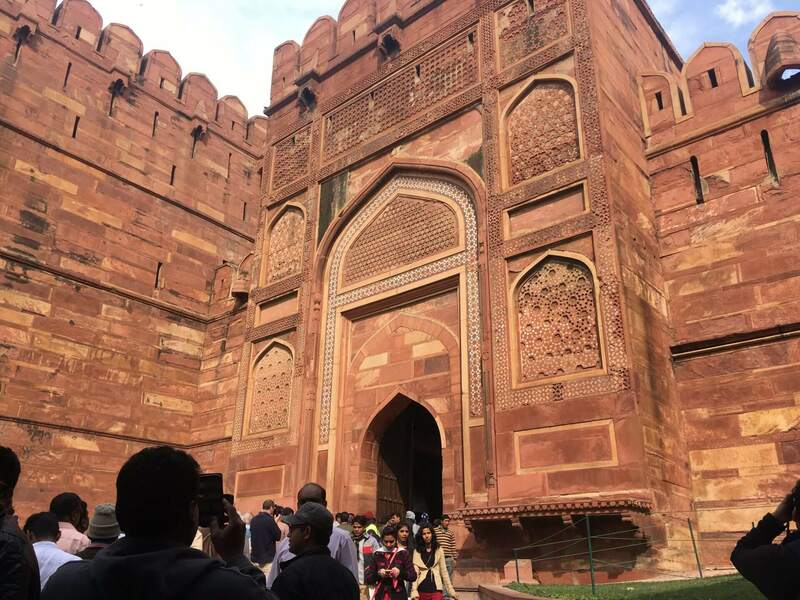 Emperor Akbar built this fort for their military base but Shah Jahan resuscitates it into a palace. 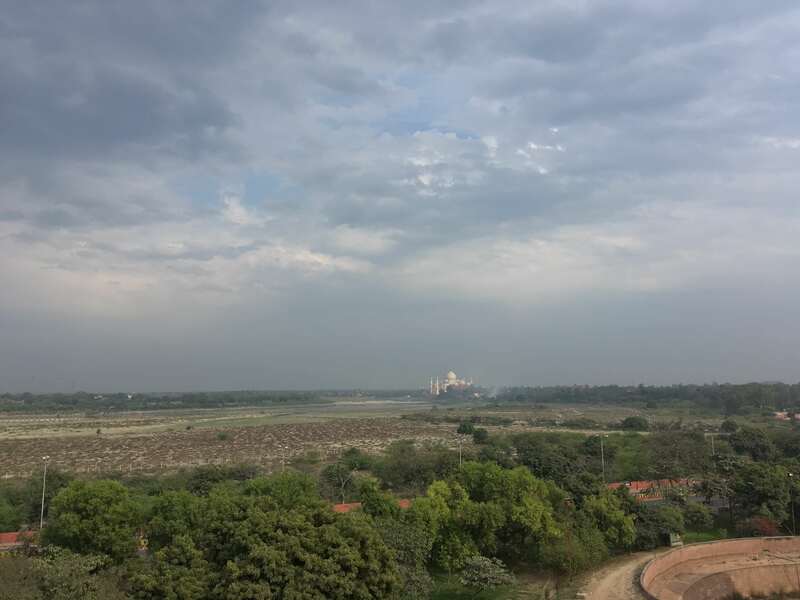 On the eastern edge of this Fort River, the Yamuna is flowing parallel. And a secret tunnel was there which takes to the bathing ghats of the emperors from the fort. This Fort is having three consecutive entrance gates and amazingly they are in a way that, the next gate only be visible after the preceding one. When I entered from the first gate I thought I entered and this was my same perception when I entered the second. After the third one, there is a long walkway, which is the upward incline direction. 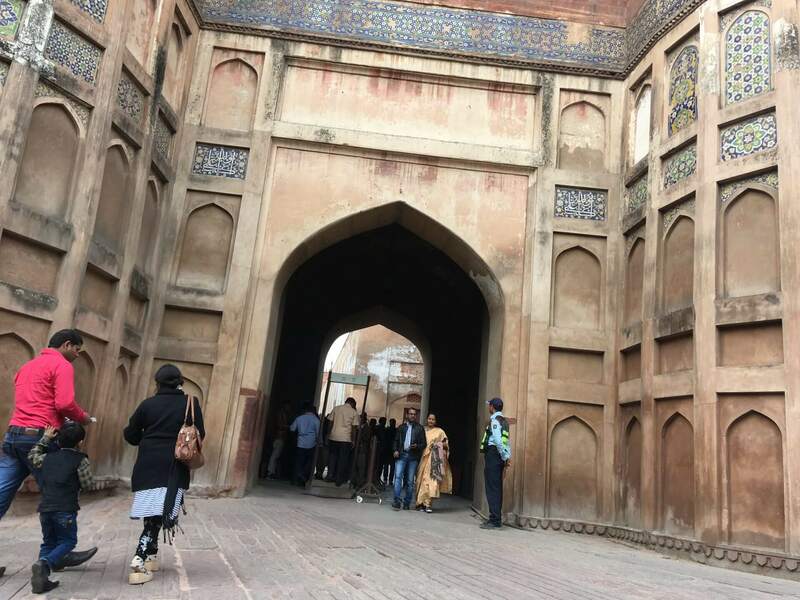 That pathway is surrounded by long walls, for a specific security reason for Mughals. They used the echo produced by the horses of invaders as their alarming bells. Straight in this way, a large Moti Masjid is there, closed permanently for visitors. On turning back, to the left is Diwan-i-Am (A hall of Public Audiences), Shah Jahan used this hall for his public proceedings. I truly, found it a city within a city, not just a fort. This Diwan-i-Aam features a throne room in which the emperor focuses on the petitioner’s petition. On the throne, in this public hall, the intricate work is there. The artistic work on the marble with intricate precious gems makes people stand still for a while. The manifest work puts people really in amazement. The pillars and the ceiling work as a superlative factor for clicking some nice pictures to the people. In front of it, there is a grave of John Colvin, a lieutenant governor who died in the fort due to some illness. Also, a water well is there from the right front of Diwan-i-Aam covered with a steel grid. 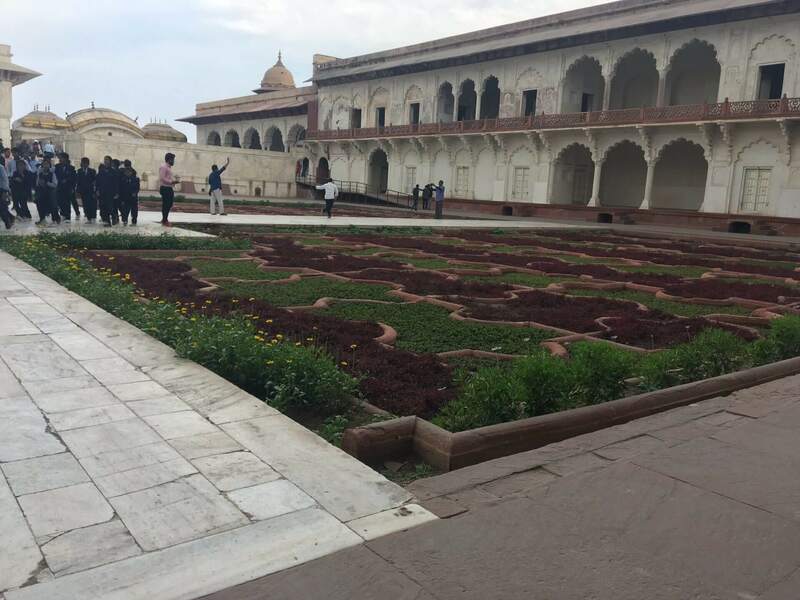 From the right corner of the throne, there is a way which leads tourists to the large courtyard full of colorful flowers. 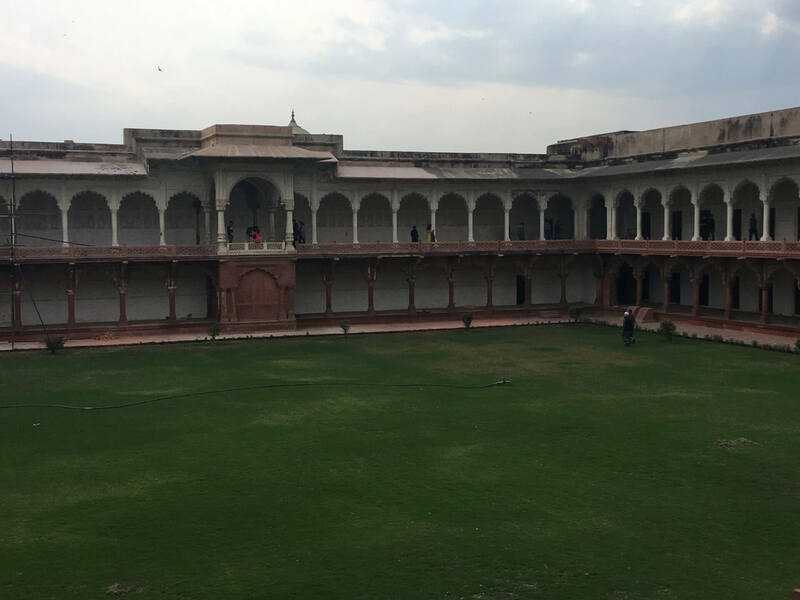 Not much far from it, there is a Diwan-i-Khas (Hall of Private Audiences). 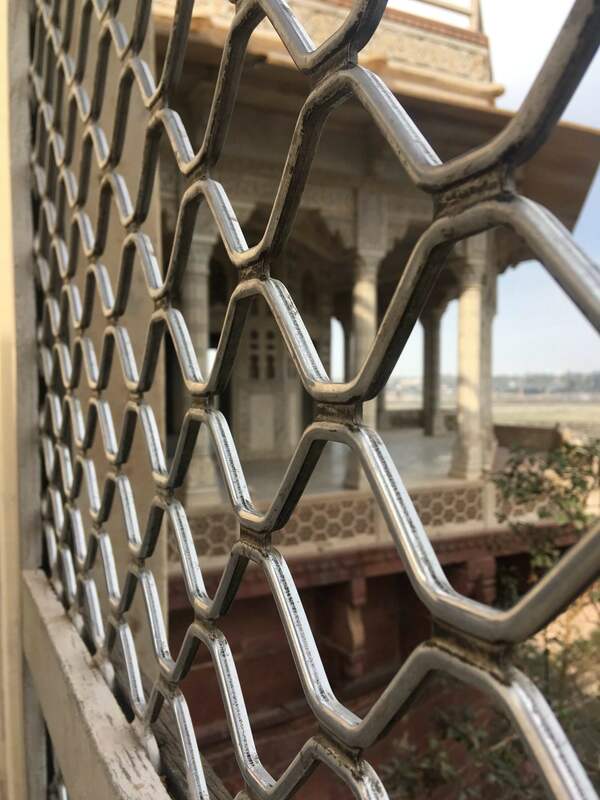 In this hall, important meetings were used to hold and it is said that this hall once housed Shah Jahan’s legendary throne and the main and the shocking thing is that that throne was inset with precious stone including the famed Koh-i-Noor diamond. After the devastation of Mughal Dynasty, the throne was taken to Iran by Nadir Shah after defeating Aurangzeb in 1739 and dismantled there after the assassination of Nadir Shah in 1747. 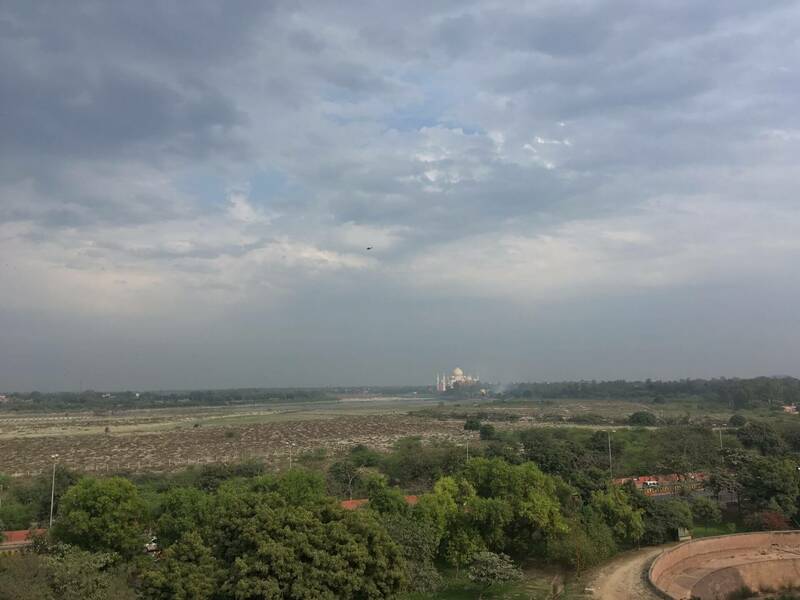 A slab is there which is overlooking to the Yamuna and the far Taj Mahal, the best point for taking photographs or to showcase our photography skills. Those who are really having a wanderlust can spend their whole day just watching the Taj from there. Not whole day but ample amount of time I spent over there clicked many photographs and from many, some are here. 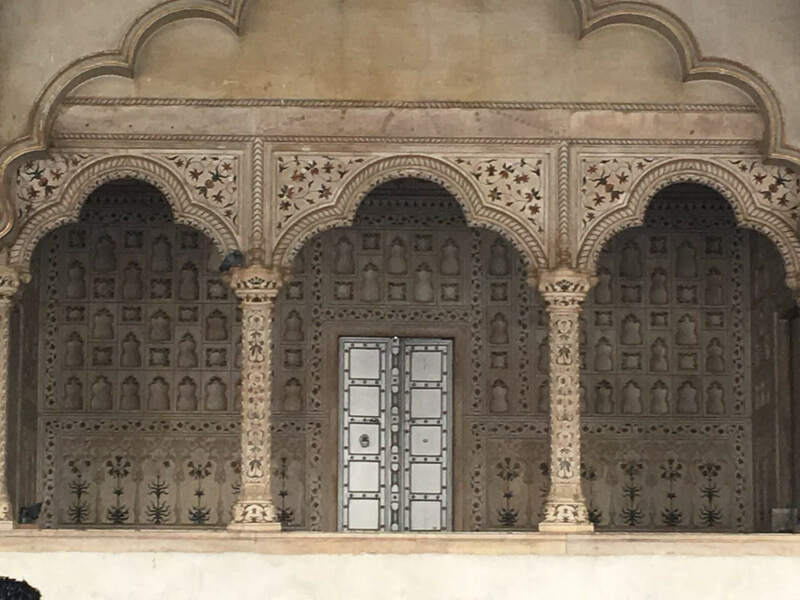 In the right adjacent to this slab is a Sheesh Mahal (Mirror Palace), tiny mirrors are inlaid on the walls of it. Unluckily, I was not able to get in because it is closed. But you can peep through the cracks in the doors at the sparkling mirrors. There you can also find Musamman Burj and Khas Mahal, the wonderful white-marble octagonal tower. 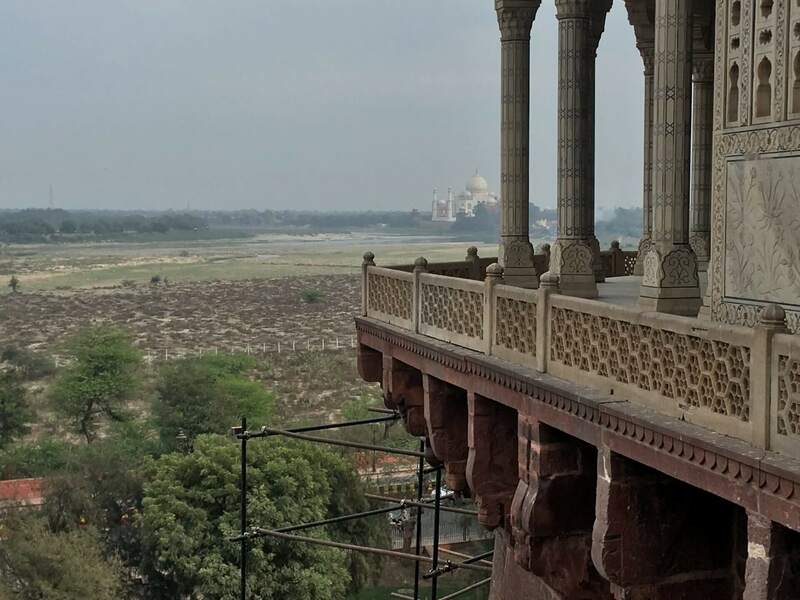 In which the Shah Jahan was captivated by his own son in his last days, but for him, a good thing was that he could gaze out at Taj Mahal from there. After the death of Shah Jahan, his body was taken to Taj by a boat. There are many other things which are now closed like Mina Masjid, was his private mosque and at a few steps down from it is the Meena Bazaar where the court ladies are allowed to roam and bought goods for their shake only. To the south of this fort there is a Jehangir’s Palace built with huge red-sand-stones, the Akbar built this palace for his son Jehangir. And as we all have heard that Akbar had strong feelings for Jodha Bai, princess of Jodhpur. He built a Krishna temple in it and the architectural style on the carvings of it shows Akbar’s, kind heart. 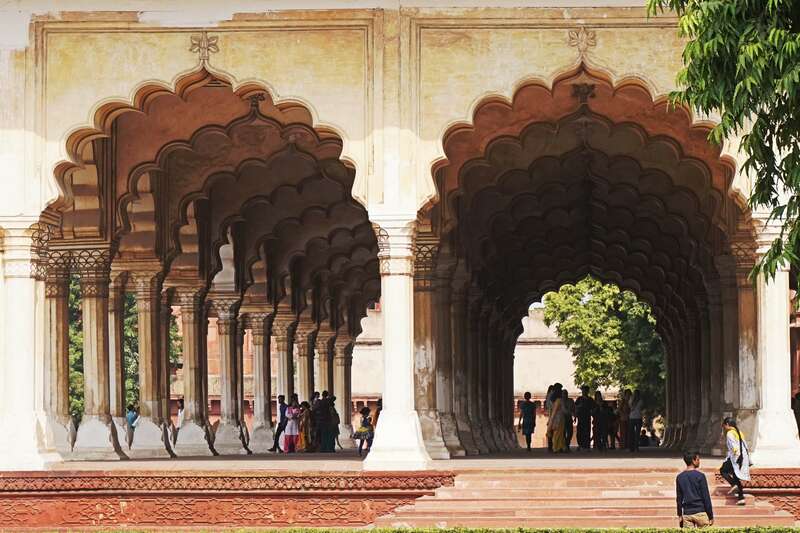 There are many things to see in this fort which depicts the perfect blend of Hindu-Mughal architectural styles. After exploring this insight palace, the path will bring back to the main entrance gate. Honestly, in this fort, I have spent more than three hours just in grasping the things and the history behind them. Last but not the least, after exploring this fort no one can able to point a finger at UNESCO that why they have considered this fort as a World Heritage Site. But when I was returning back, there was a little man, about 7-year-old, walking alongside me with a trite face. I asked him why he was not happy then he replied me that “all the things are boring here, I couldn’t able to see some crazy stuff”. And I realized that not every, but many kids don’t have their interest in history. That’s all this fort.